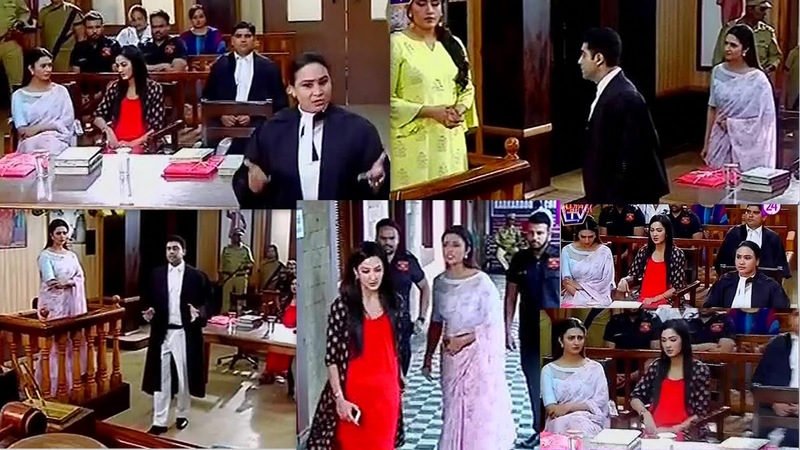 Court Room Drama Ishita Seems Losing the Custody Case Yeh Hai Mohabbatein UMT 25th June Video and Written Update. Segment Start with Courtroom Drama in Yeh Hai Mohabbatein with Raman’s Lawyer Starts with sentence that First Time we are Hear for Custody case for Unborn Child. Ishita’s Lawyer Says Yes My Lord But My Client Ishita Wants Both Mother and Daughter’s Custody And Bhallas Want Only Child’s Custody. After That Raman’s Lawyer Calls Ishita in Witness Box and Asks Some Question After So Many Questions Asks By Him He Tells Judge that She is Not Financially Stable and Raman Bhalla is More Stable for Child. After that Simmi is In Witness Box and She Tells That Roshni and Ishita were at Bhalla Hosue Because Roshni was Kidnapped from Ishita’s House. Ishita stands Up and Shouts On Simmi That It Was Your Husband who Kidnapped her Don’t Provoke me to Say Anything here. Simmi gets Fumes and Judge tells Ishita don’t interfere in Between Please Sit down. Simmi Smirks and Tells Judge that According To her Custody Should be Given To Raman Bhalla because he is Stable and We all will Take Care of Child Better then Ishita and She Live Alone too. After Simmi’s Vote Case is Seems to Be in Bhalla’s Favor But Roshni tells in her Interview that This is Early to Say Anything Because In the End It's Me who want to Stay with whom Simmi tells That I given My Statement because I want to Win over Ishita and wants To See her Defeated.